The weekend is here. Yay…but there’s one unfinished task that I would like to tick off before this weekend begins. 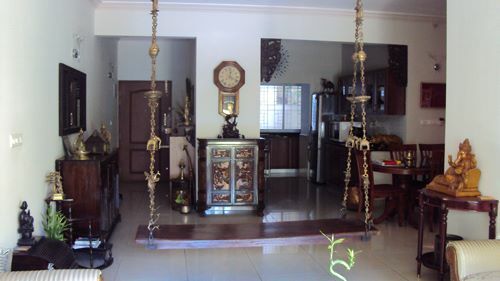 The home tour of Sreekumar’s. Siddharth is a good friend of ours. We’ve moved cities, companies, colleges and again cities together in the last five years. He lives with his wife, brother and parents at his parents’ flat in Malleshwaram, Bangalore. We visited his parents one Saturday in January. I did not plan on shooting the interiors but after seeing the elegantly done flat I couldn’t resist asking. You may wonder why I call it a haveli if it’s only a 3-BHK flat. Well, because that’s the feeling I got and I’m sure you’ll agree as you scroll down. They live in perhaps the most busiest part of Bangalore where it becomes impossible to step out of the apartment building in the weekends. But the house more than makes up for lack of outside entertainment. The pleasant interiors exudes a sense of warmth and the perfect atmosphere for the family to spend their weekends together after a hectic week. It’s not a exaggeration when I tell you it took aunty over an hour to show me through the 3-bedroom flat and still it was far from over. Every piece of artifact and furniture has either been hand-picked or has been passed down generations. 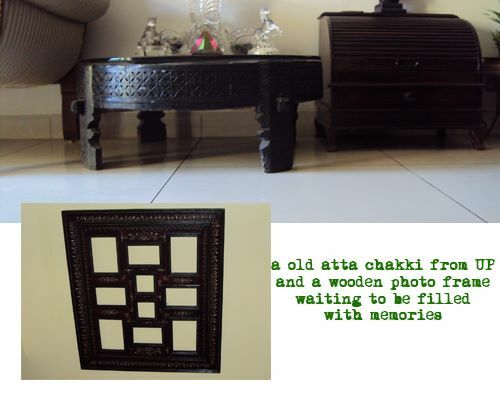 It was like a story unfolding in front of me with a tale behind every vase and chest in the house. For instance, can you believe the vase in the picture below is a artillery shell? Siddharth’s father used to serve in the defence forces before retiring. Hats off to aunty for carefully preserving memories and putting them to good use decades later in settings where one would least expect. There is no room for modern in this house. The place oozes antiquity from every corner. 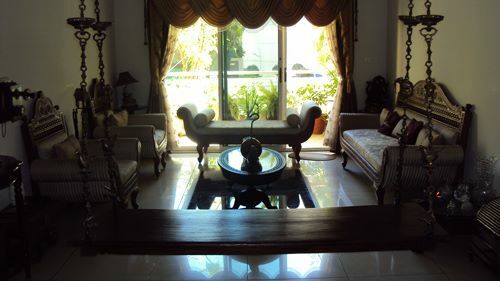 The view from the main door of the foyer and the drawing room. The aroma of fresh Rajnigandha was mesmerising. The drawing room has a royal yet homely and cosy feeling. The wooden oonjal is supported by intricately designed brass chains on four ends. It is flanked by equally majestic antique furniture set from Nosttaligia.Facing the oonjal by the side of the french window is a silk upholstered diwan. A view of the drawing room and kitchen from the balcony. 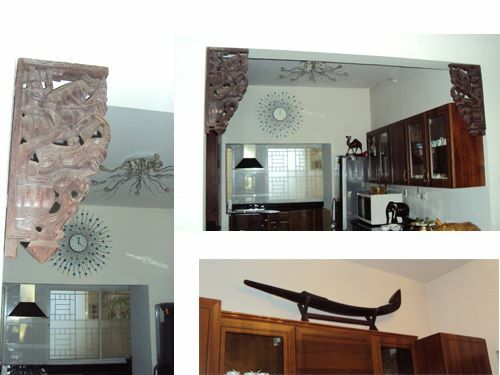 Ideas galore: the wooden carvings at the top of the kitchen gives the dining area a grand reception. Notice the old Kerala style boat at the top of the wooden cabinet. Aunty says it was gifted to uncle by his dad and is easily over 100 years old. 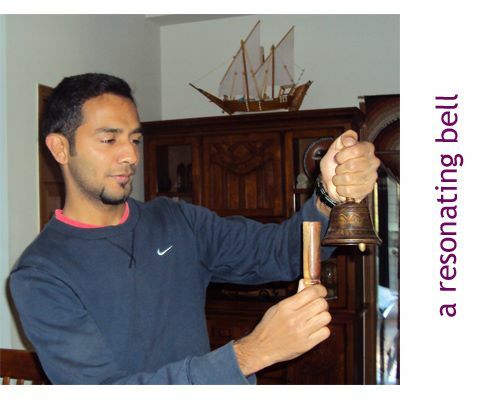 Siddharth’s brother giving me a demo of the resonating bell. Now this is what makes the Sreekumars’ house a home. Every decade-old piece blends in perfectly and has an interesting story behind it. 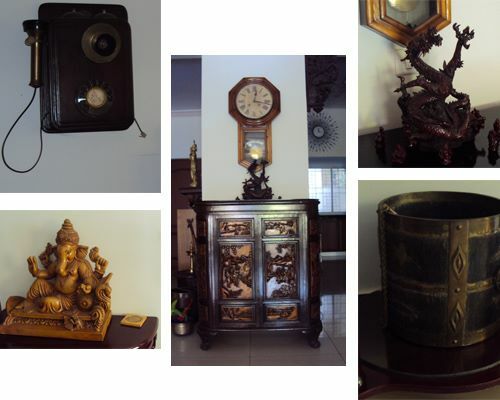 Be it the old-fashioned candlestick and mouthpiece telephone, grandfather clock, the Chinese dragon, lucky God Ganesha or the antique chest. The cylindrical drum was a quite useful thing in the kitchen in olden times? Any guesses as to what it is? Well, it’s called a padi and was commonly use dto measure rice. The smaller version of this in stainless steel is still used today. I hope you enjoyed the house tour as much as I did. Have a great weekend. 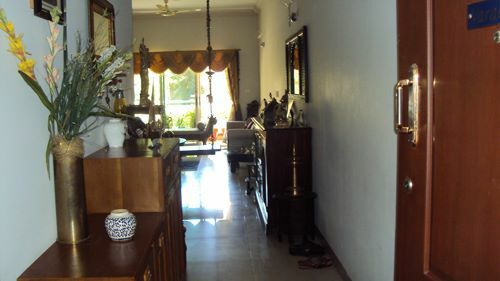 Beautiful Flat , which does look like a haveli, very artistically done. Gorgeous… What a lovely home… a true haveli!! Totally loved that swing! WOW!! Hi, Can I have the contact details of the Architect who has done Sreenivasan’s Haveli? I am building a new house and want to pretty much mimic this Haveli interiors. Your earnest help is highly appreciated. My email is kprahlad@yahoo.com. I really enjoyed the pics and the writeup, but was amazed to see a picture of the resonating bell that I’ve been looking for! Could you please tell me where the Sreekumars got it from? 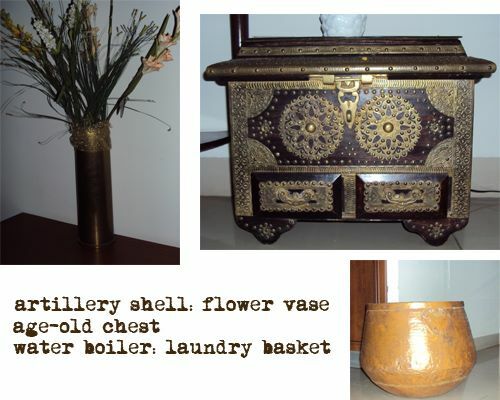 Exquisite….loved all the antique collection…would like to know about the resonating bell . hi sreekumar, wonderful house, i m looking for a carved , dashavatar front door for my house can u let me know were i can get it . great post with so much information with such clear views for furnishing. 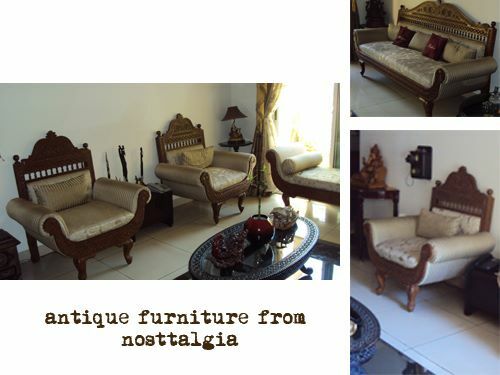 This home decor is artistic and contains quite aesthetically blended artifacts with the furniture.A refreshingly different ‘antiquity’ style.Thank you for showcasing this home.